BIG NEWS: Dig has decided to retire! She will still be helping out once in a while. 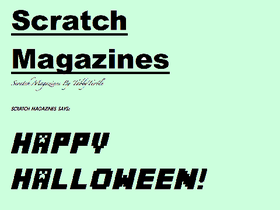 We&#39;re working on more Scratch Magazine issues. Sorry for the lack of projects being created! We do not follow on request. Scratch Magazines Submit Your Stuff!